After the suspension of Ukraine's arms sales in 2014, the Ukrainian defense industry is once again increasing its export potential. The country's leadership plans to make Ukraine one of the leaders of the global arms market, while representatives of the Ukrainian defense industry are calling for liberalization of the terms of military exports. With the onset of Russian aggression in Donbas, the Ukrainian authorities went for an emergency suspension of most of their arms export contracts. Military technology was critical for restoring combat capacity of Ukraine’s own army in the eastern front. As a result, the volume of military exports decreased several times, while Ukraine began to lose its positions on the international arms market. In 2015, Ukrainian President Petro Poroshenko set an ambitious goal: to bring Ukraine into the TOP 5 of the world's major arms exporters. We can already say that Ukraine has actually increased the volume of military exports and began to regain its positions among arms exporters. According to the Stockholm Peace Research Institute (SIPRI), which analyzes the control over arms transfers and global disarmament, in 2016 Ukraine increased military exports by 53%, to $528 million, and was 11th among the world’s arms exporters. In general, according to SIPRI, during the five-year period from 2011 to 2015, the share of Ukrainian defense companies in the world market grew from 1.9% to 2.6%, which allowed the country to take the 9th place, ahead of the Netherlands and losing to the West European countries - France, Britain, Germany, UK, Spain and Italy. The traditional leaders of the list are the United States and Russia, who have been topping the list since the middle of the 20th century. China, which significantly increased military exports in recent years, ranks third. At the same time, according to European experts, for the entire period of independence, Ukraine earned about $11 billion on military exports. Positive dynamics of the development of the Ukrainian defense industry also affected the ratings of Ukroboronprom, the state-owned concern uniting the country's main defense companies. According to the rating by the U.S.-based DefenseNews publication, the state concern increased its revenues by 15% over the year and rose from 68th to 62nd spot in the list of world arms producers. Petro Poroshenko also noted the active development of the Ukrainian defense industry. 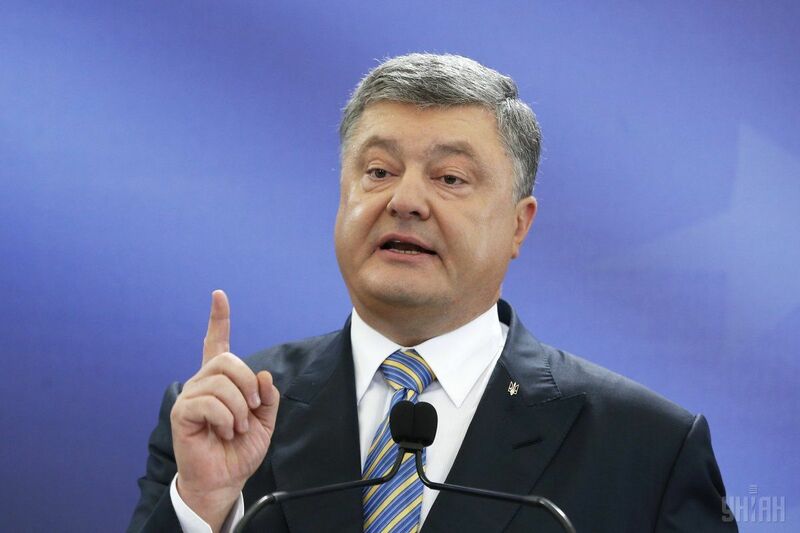 "We need to support the growing demand for Ukrainian weapons of our own production, and we are firmly and convincingly conquering the market with weapons that are manufactured in Ukraine," Poroshenko said at the NSDC meeting. Annually, as part of the implementation of the agreement with the United Nations on maintaining peace, Ukraine prepares an internal report on its arms deliveries abroad. In early August, the Export Control Service published a document on the geography of Ukrainian arms exports in 2016. The types of weapons sold are quite traditional, according to the report: tanks, armored personnel carriers, missiles, and small arms. It should be noted that the report said Ukraine no longer sold aircraft and air defense systems. A similar situation is with the export of large-caliber artillery. Due to the fact that these types of weapons are not produced in Ukraine, it can be assumed that the government simply put a taboo on their sale. The list of buyers of Ukrainian weapons is rather standard: for the most part, it is the countries in Africa and Asia. 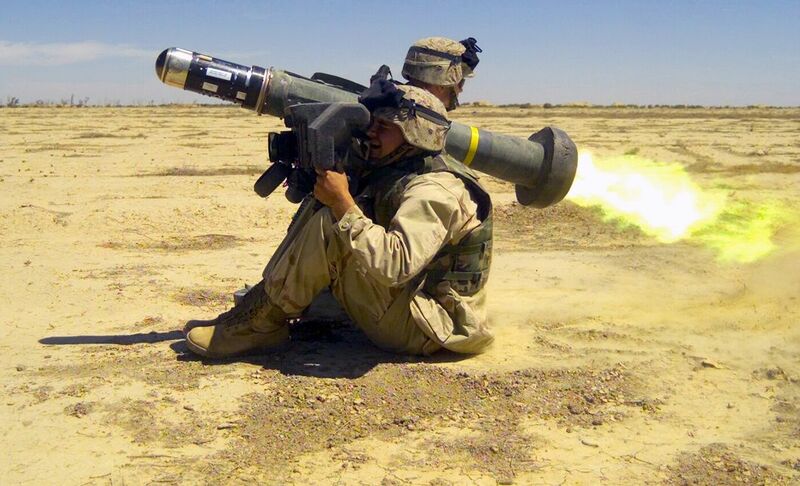 The test delivery of 25 Ukrainian portable anti-tank missile systems and 60 missiles to them to the United States of America looks surprising. The point is that Ukraine has been negotiating with the U.S. government since the beginning of hostilities in Donbas on receiving lethal defensive aid and, in particular, Javelins, the anti-tank guided missile launchers. In the armored vehicles sector, Ukraine has carried out a number of major deliveries, in particular, and on contracts suspended in 2014. 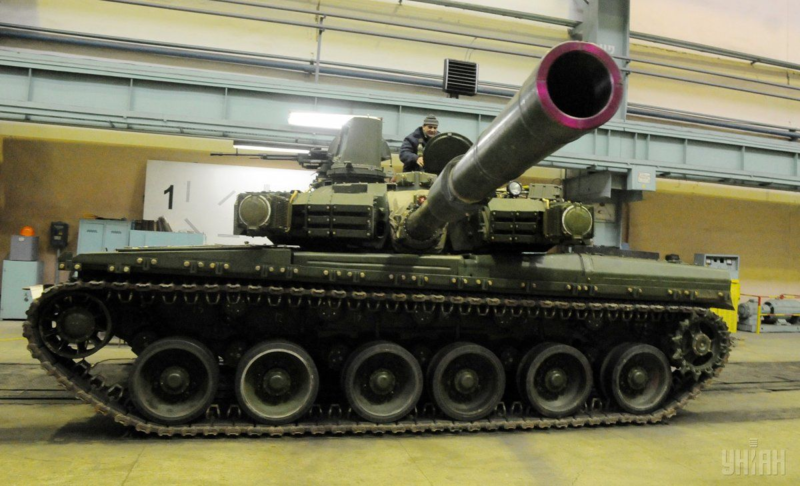 The report traditionally listed the newest Ukrainian Oplot main battle tanks sent to Thailand. According to the data of the Export Control Service, 10 pieces have been delivered. The contract was signed in 2011 and the delivery of 49 vehicles to Thailand before the end of 2014 was initially expected. The cost of the contract was about $250 million, and it should be noted that this is one of the largest export contracts that are currently being implemented by Ukraine. However, the quality of the performance of this contract is far from desired. Within the deadline set, Thailand received only five pieces, while contractual terms are regularly postponed by the Ukrainian side. As of 2017, Ukraine has fulfilled only half of the contract. But Ukroboronprom assures that the contract will be completed before year-end. 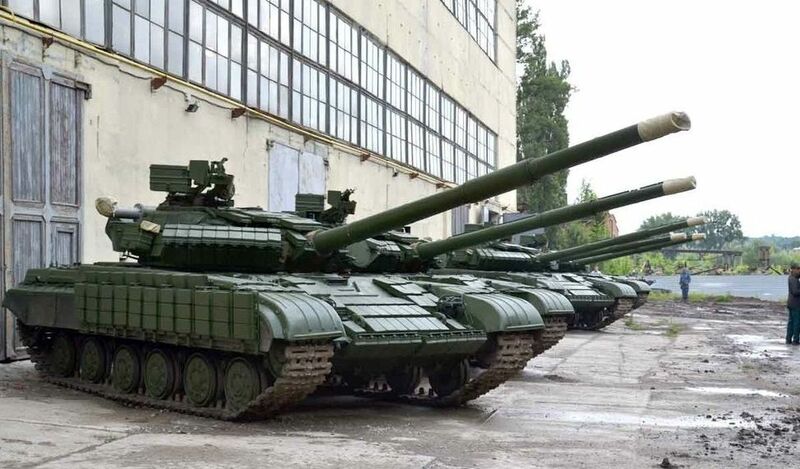 In addition, last year Ukraine delivered 25 T-64BV1 main battle tanks to the Democratic Republic of Congo. The contract was signed in late 2013, but suspended due to the outbreak of hostilities in eastern Ukraine. 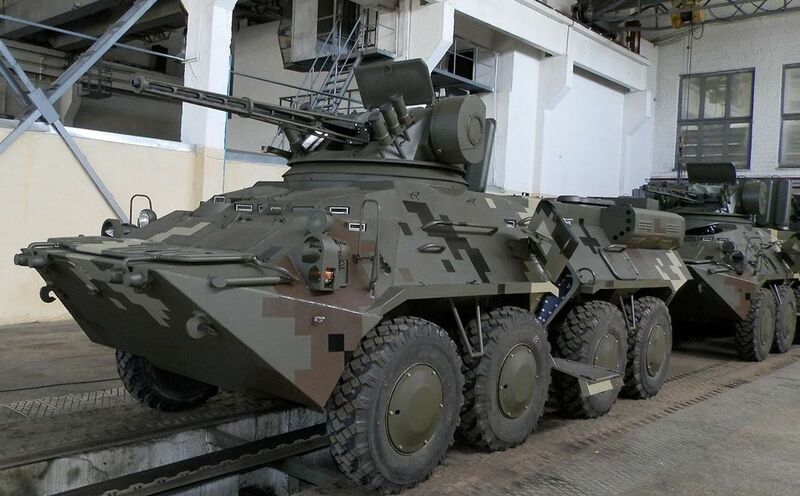 Also, Ukraine supplied to Thailand 34 units of new BTR-3 APCs of different modifications, another five BTR-4 APCs were delivered to the armed forces of Indonesia. The largest supply in the sector was the batch of 108 armored reconnaissance and patrol vehicles BRDM-2 to the United Arab Emirates. According to open data, as of 2016, there were 450 armored vehicles of this type in Ukraine. The deliveries of R-27 air-to-air guided missiles, produced by the Kyiv-based state-owned company Artem, significantly increased last year. 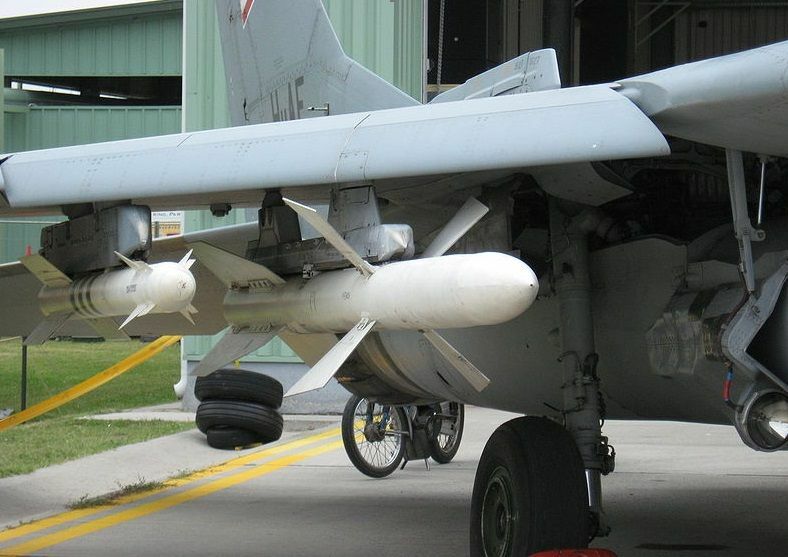 A total of 43 guided missiles and aircraft missile systems were sold. Three were sent to Indonesia, another 40 to Poland. In 2015, Ukraine sold only two such missiles. According to the report, last year Ukraine also supplied 88 large-caliber machine guns and 170 light machine guns to Southern Sudan; 46 light machine guns and four pistols to Turkey; 10,000 rifles and carbines to the U.S.; and 10 rifles and carbines to Mongolia. In the near future, this list may be supplemented by another large defense contract. 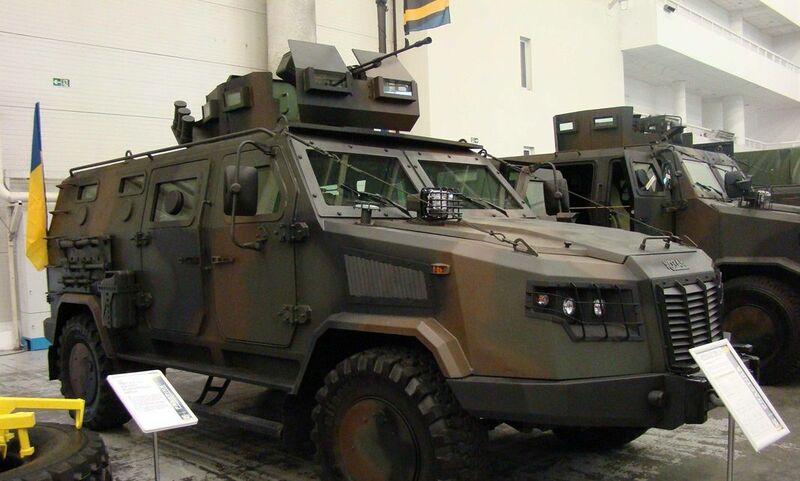 This week, reports emerged that Ukraine would supply 680 armored vehicles worth $1 billion to the Ministry of Defense of Bangladesh. 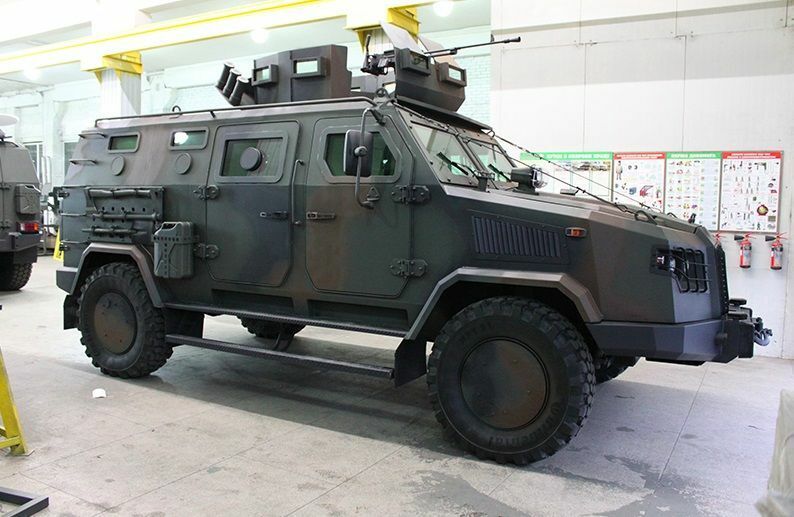 We are talking about armored cars "Kozak-2M," produced by a private Ukrainian enterprise NPO "Practice." These armored vehicles were presented at the international exhibition in Kyiv in October last year, but after the state tests they managed to get high grades from both from the military and experts. As the Ukrainian defense companies note, the potential capabilities of the country's defense sector far exceed the current volumes of military exports. 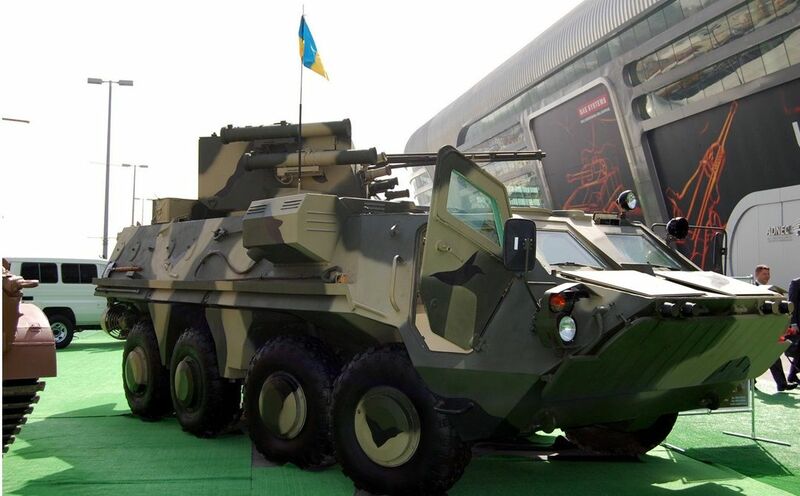 In particular, according to the president of the Association of Arms and Military Equipment Manufacturers of Ukraine, Vadym Kodachihov, the real export potential of the Ukrainian defense industry is more than $2 billion per year, who said current limitations are the result of significant legislative restrictions. According to him, at the moment, to enter the international markets, all Ukrainian defense enterprises must conclude contracts through special state exporters that are part of Ukroboronprom. "There is a buyer, there is a seller, and there is an intermediary – a special exporter who lays down interest for escorting contracts. As a result of such a commission, the value of the contract grows by 5 - 20 percent, which makes them non-competitive," Kodachihov said. Ukroboronprom also supports the need for liberalization of arms export regulations. "To date, the law prohibits arms producers, with the recent exception of aviation industry, and special exporters to act as founders or co-investors of joint ventures with foreign partners. This limits the capacity of Ukrainian enterprises to work in key markets," said Pavlo Barbul, director of the state-owned self-financing foreign trade enterprise Spectechnoexport. According to him, Ukraine should improve its legislative base and allow Ukrainian defense companies to create joint ventures abroad. "Such recommendations have been developed by specialists at Ukroboronprom and have already been repeatedly considered in the Verkhovna Rada profile committee," he added. At the same time, both officials and producers agree: it is important for Ukraine to retain the status of a serious player in the international arms market. This market continues to grow, and according to SIPRI, in the period from 2012 to 2016 it reached its maximum since the Cold War. The annual volume of this market is estimated at $ 80 billion. In addition, interest is growing in the products of the Ukrainian defense industry. For weapons, there can be no better advertising than the fact that it was tested in real combat conditions with a formidable opponent, not just at military training grounds. Weapons, tempered in battle, are expensive. The world understands this. And in this regard, Ukraine has a serious advantage over other players.